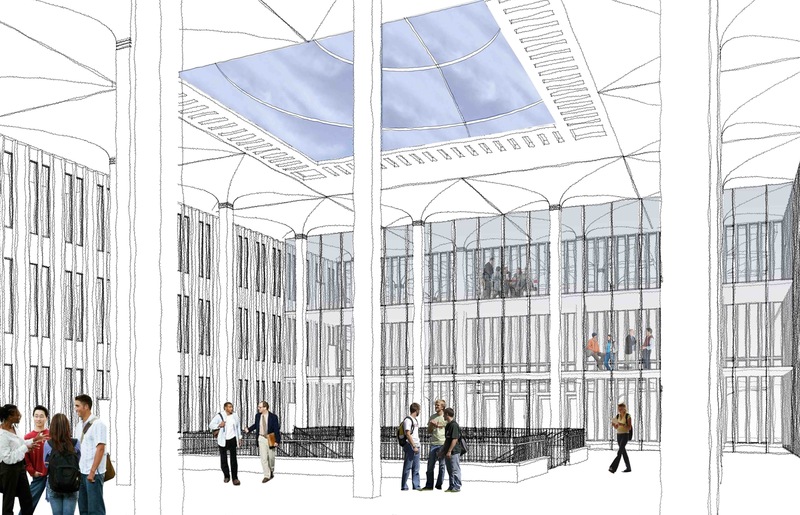 University at Albany Library Facility Assessment, Programming & Renovation – Sorensen Partners | Architects + Planners, Inc. 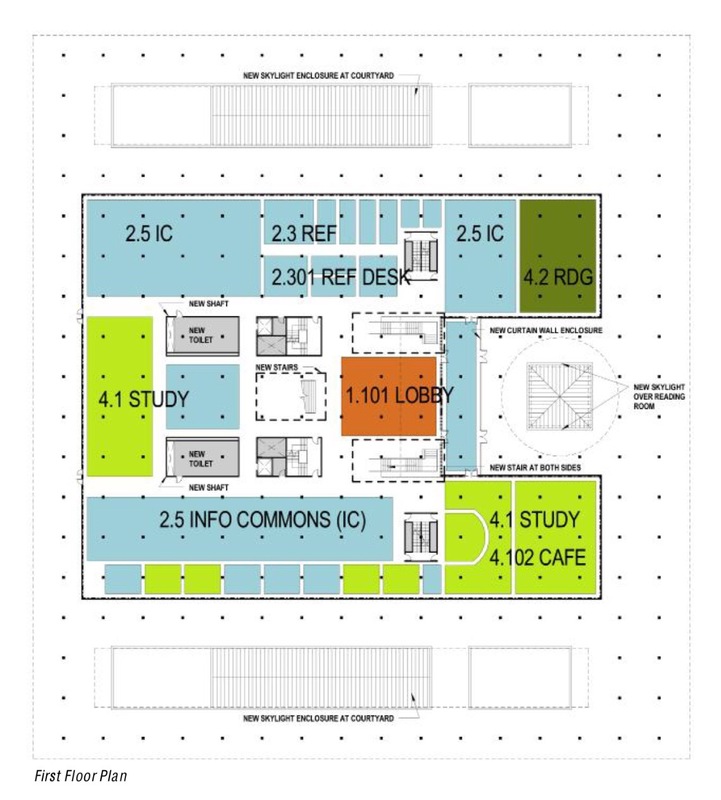 The University Library concept design – including benchmarking, visioning, programming, facility assessment, and conceptual design phase schematic section and plan diagrams coordinated for structural and mechanical feasibility – lays out a five-phase strategy for transforming and improving the Library’s existing 254,500 square-foot facility designed in 1962 as one of two signature buildings at the center of modern architect Edward Durell Stone’s iconic campus in the suburbs of Albany, NY. 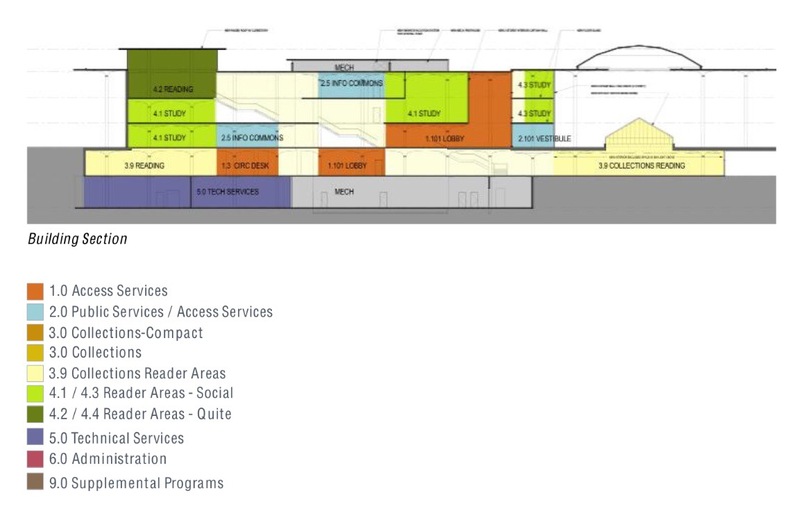 The comprehensive renovation approach strives to improve the visibility and use of the five-floor Library as a place of interaction-based leaning through the creation of functional, inspiring and forward-thinking spaces for patrons and staff. – Improving thermal comfort while increasing daylight (through the introduction of three new skylights) and providing visual connections to adjacent courtyards through thoughtful openings introduced into the repetitive 1960s facade. Work completed prior to Sorensen Partners | Architects + Planners as Architectural Staff at EYP Inc. Renderings and drawings copyright 2011 EYP Inc.